Have you ever experienced a ‘blast’ in your inbox? Of course not – it still gets emails. No one literally blew up your inbox. But the term ’email blast’ is popular. So is the tactic. And even though it can work, you’re probably using it wrong (most marketers do). Here’s how to do it wrong: Send an email to a huge volume of random, unsubscribed people without warning or purpose. Here’s another way to do it wrong: Send an email to your subscriber list just cuz you haven’t sent an email in a while. And here’s the most common way to do it wrong: Send messages that don’t resonate – so that you lose subscribers/purchases and never even realize. That kind of an e-blast is called spam. Ain’t nobody got time for that. Your email blast does NOT have to be spam (and after reading this, it won’t be). An “email blast” is a single email message that gets sent to a large email list all at once. They can be scheduled to go out on a specific date and time, but the schedule is the same for everyone. Because sending a mass email is kind of like screaming at everyone through a megaphone. At the same time…megaphones exist for a reason. Sometimes a megaphone is exactly what you need. What’s bad, pussycat? No, no noooo, no (not email blasts). When Venmo came out with Venmo cards, it was an announcement for the whole Venmo world – not just women or millennials or any specific group. An email blast is not your enemy. It can even be a time-saving email superhero (minus the cape). Here’s the key – your email blasts should supplement your targeted content emails. They shouldn’t be the only emails you send. And we have 6 tips to help you send them successfully. Emails are one of the best (and cheapest) ways to reach your contacts. Do email blasts work? Yes, but only if you do them well. There are 6 things you need to keep in mind for a successful broadcast email (that doesn’t get marked as spam). Here’s the thing: it’s not about you, it’s always about your customers. Do you like to be spoken to with lots of convoluted and multifarious articulation and jargon? Don’t try to find language that sounds important or thoughtful. Use the words your customers use. Review mining is a great way to do this. Look up online reviews and check transcripts of customer calls to see exactly what your customers are saying about you. Copywriting wizard Joanna Wiebe wrote this landing page headline copy after she mined hundreds of Amazon book reviews related to her client’s business. And guess what happened? 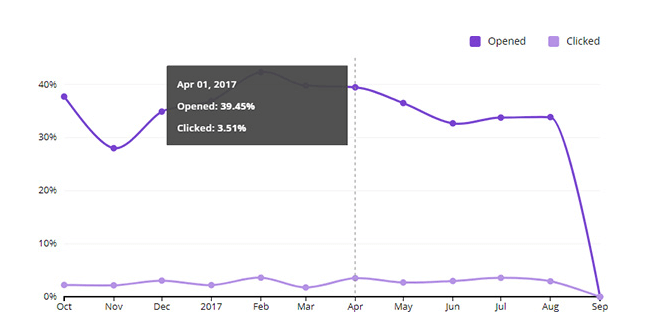 Over 400% more clicks, that’s what happened. Copy developed from audience language blew the old copy out of the water. Don’t speak for your customers, let them speak for you. The law comes first. Because non-compliance can cost you and get your emails blacklisted. Each separate email that is in violation of the CAN-SPAM Act is subject to penalties of up to $41,484. According to the most recent U.S. Census data, the median household income for a family of 4 is $57,652. That’s for four people. Not too far off the cost of just one measly non-compliant email. Imagine paying that amount for multiple emails that didn’t take simple steps to be legal. No, actually, burn this image into your memory. And every single one is YOUR responsibility. All email blasts are required to follow the CAN-SPAM Act. But good news – following the law isn’t complicated. What does your email blast need to be legal? A clear way to opt-out. Don’t make this hard. Unsubscribes are not the end of the world, and people will find a way to leave if they want to. You need to give people a clear way to unsubscribe. Permission. Only send to opted-in subscribers. This mistake can cost you big. Not just in fines, but in subscribers (more on this in a second). An honest subject line. Your subject line needs to be clear about what to expect from the email. Don’t exaggerate claims for a click. Who the heck you are. Your header info should plainly spell out who the email is coming from. (And also 5: check with your lawyer – because this doesn’t constitute legal advice). Basically, be as transparent as Casper the friendly ghost. And remember – using an email service provider (ESP) to send your messages doesn’t make you any less liable. You can follow helpful tips and best practices, but measuring your email blast metrics is the only way to know if they are working for you. What email metrics should you pay attention to? Why these metrics? Because each one can tell you a specific insight (and potential improvement opportunity) about your email blast. The email open rate is the best metric to tell you how many qualified customers are on your list. And (of course) the best way to make improvements in your emails is to know your audience and give them what they want. I’ve sent plenty of attachments, so even I was a little surprised to learn this little tip. Attachments look like a tiny, insignificant thumbnail in your email, so they shouldn’t be harmful right? It’s true, PDF attachments seem like a simple way to blast out relevant content to your audience. But before you click and drag an attachment into your next mass email, think again. Did you know the number one delivery vehicle for malware is email attachments? Like a small kitten with sharp, retractable claws you don’t see coming. You might not mean any harm with attachments, but that doesn’t mean harm won’t come your way. Why shouldn’t you use attachments? Your emails get too big. When an attachment makes your message too big, it can cause performance issues for your campaigns (which increases the sending time and ultimately hurts your deliverability). Internet Service Providers (ISPs) can call it spam before your subscriber even gets it. No lie, a lot of email blasts can be spammy – and customers aren’t the only ones who notice. The risk of attachment-based email viruses can make your files look like a security threat to ISPs. A subscriber might still think it’s spam, even if ISPs don’t. Every time you send a new email blast, ask yourself – “Would I open this?.” An attachment from an unknown sender could be mistaken as a security threat. 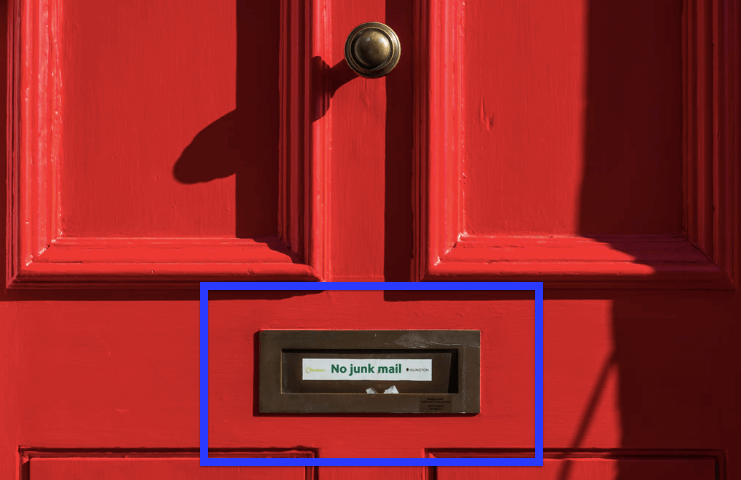 Any split second of hesitation about your email will likely cause a subscriber to hit the “spam” button and move on – never to hear from you again. Better, non-spam idea? Use links to your content and pages instead. Links also make it easier for marketers to track content engagement within the email. Sending emails to people who don’t opt-in is not cool. Period. The best way to make sure people won’t hate you for sending them emails blasts? An above-board, straightforward way to collect email addresses. So what are the best ways to let people opt-in to your list? A lead magnet, also called an opt-in offer or “carrot,” is anything you give your audience in exchange for their email address. It’s one of the most tried-and-true list building tactics out there. How do you offer a lead magnet? With a well-done opt-in form.. These can be in the form of a pop-up (which totally work) or a unique landing page. And no one wants to fill out a form with uninspiring copy and poor design. What makes this opt-in copy effective? 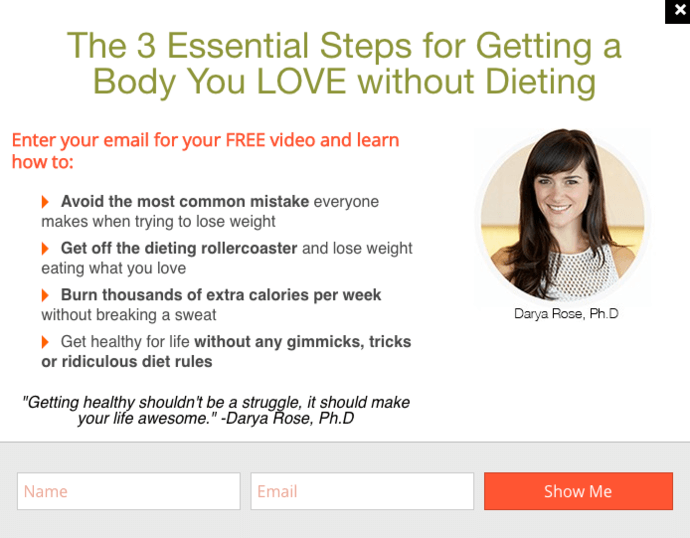 It highlights a big benefit (a body you love without dieting) while still clearly telling you what you actually get by filling out the form (a free video to get you that diet-free body). Darya plays up the benefits of her lead magnet. The features of the lead magnet are mentioned only briefly—the word “video”—but it’s enough to tell people what they’re getting. It’s really that simple. And people are more likely to spread the good word if you just ask. Email marketing is cheap, so it’s easy for bulk email senders to just email their whole list over and over. It’s true – the financial cost is minimal. But there is still a cost to this kind of laziness. 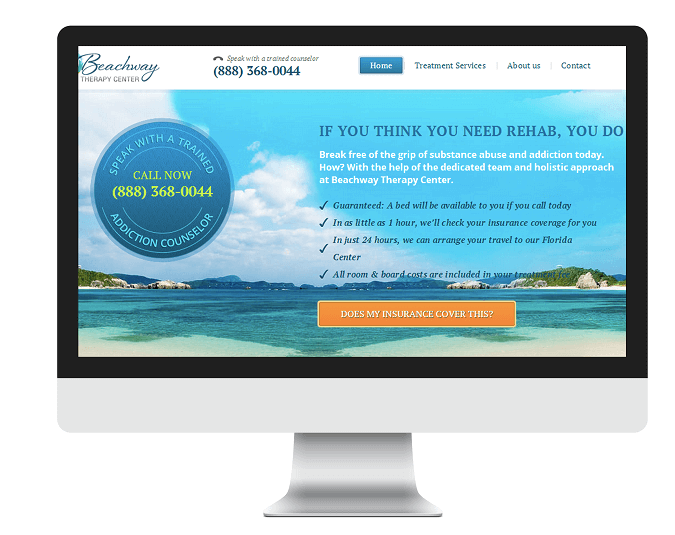 When your deliverability takes a hit, so will the revenue from lost conversions. To avoid this, clean your list regularly. To be clear, clean your list after you’ve tried a re-engagement email sequence to win their clicks back. What is a re-engagement sequence? 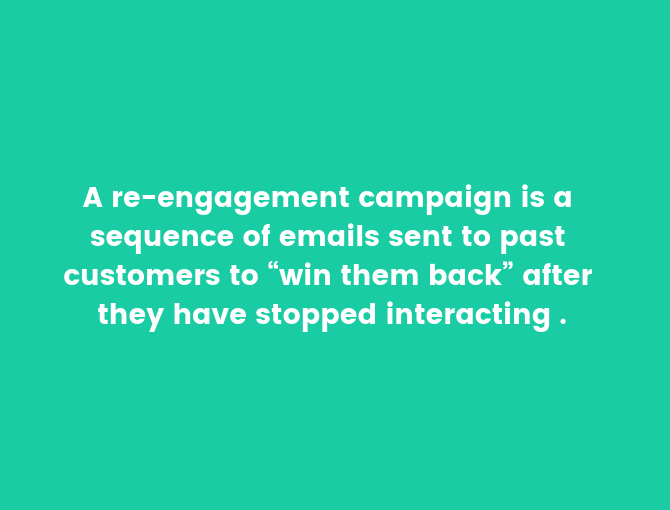 A re-engagement campaign is a sequence of emails sent to past customers to “win them back” after they have stopped interacting with a brand over a certain length of time (such as 30-60 days after their last interaction). NOTE – Don’t remove people from your list just because they don’t respond to your win-back campaign right away. Give them a little time. But if they do stay quiet, don’t stress. Remove the unengaged people before your well-intentioned eblast sends them to the spam flagging button. List cleaning is good for everyone – it makes room for people ready to be connected with you, and it improves your deliverability and open rates over the long term. 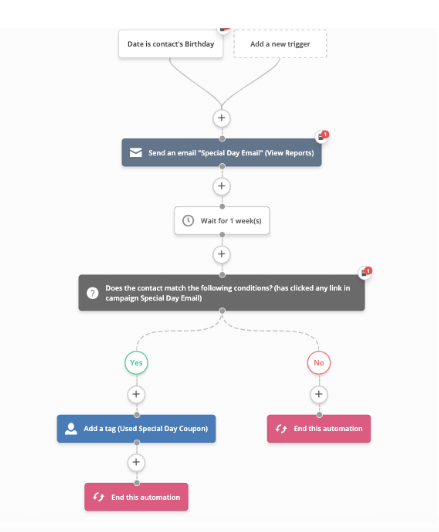 Take a look at how some of our ActiveCampaign customers do it. Try segmenting your emails. It may not be a case of not wanting any of your emails – just not certain ones. Find out why they’re inactive. When you give your contacts a way to unsubscribe after a long period of inactivity, give them a one-click survey on your unsubscribe page to find out why they’re leaving. Use the information to keep the next contact from leaving. Yes, an email blast can be effective email marketing. But I will be honest – there still is a better way to go past an email blast and send more advanced email campaigns. How do you know who to talk to? 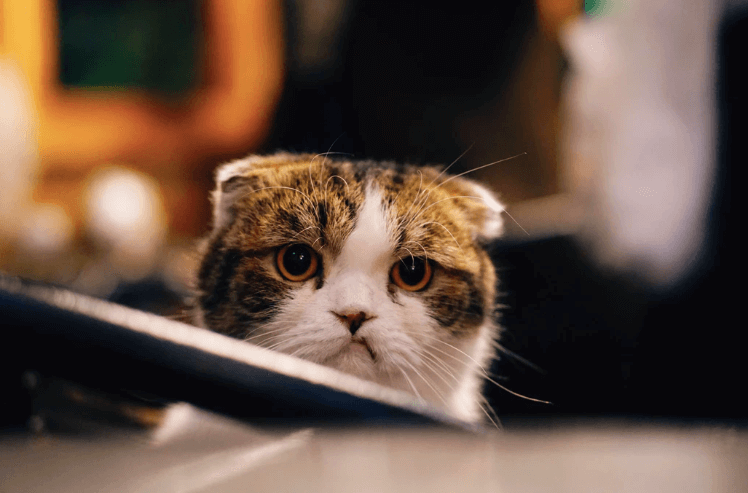 A Responsys survey showed that 34% of those surveyed have parted ways with brands because of poor, disruptive, or irrelevant marketing messages. That’s 34% that could have been saved with a good targeted email. Spotify gets a lot of revenue from user subscriptions, but that’s not the only source. Revenue also comes from concert and merchandise sales. 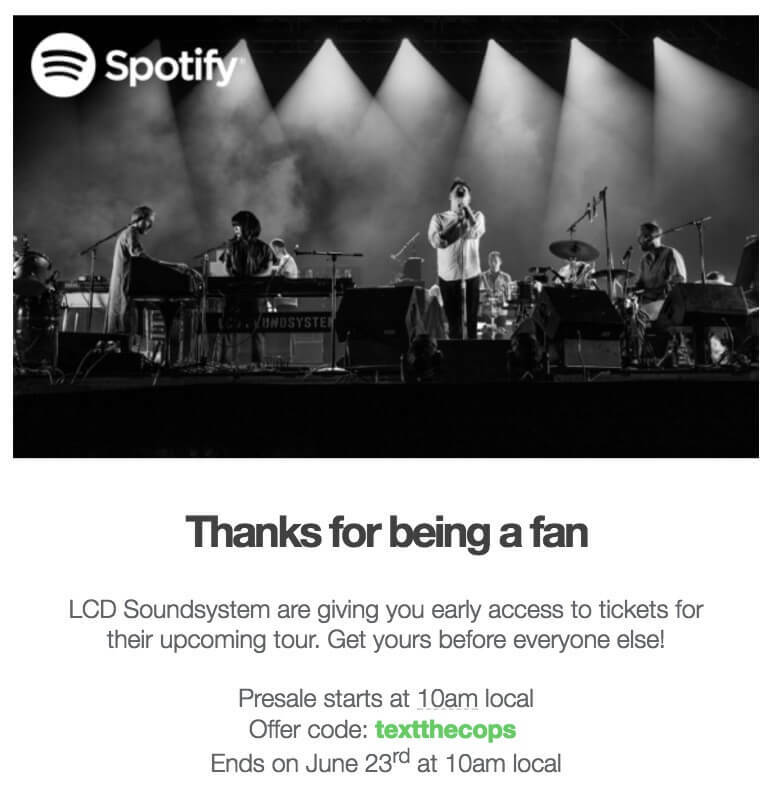 This email is behaviorally triggered because the user listens to a particular artist and gets an email based on their listening history (bam targeting). 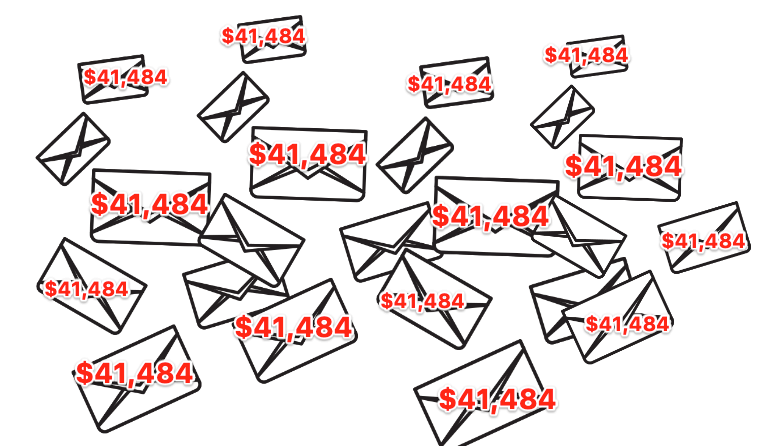 An eMarketer study showed that the median email marketing ROI is 122%. 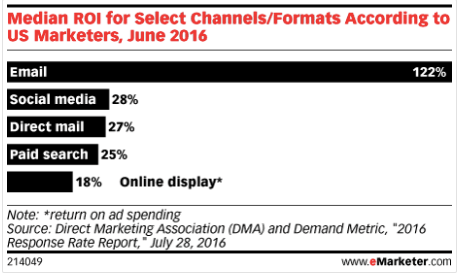 That’s four times higher than any other digital marketing channel. Targeting your emails gets your ROI where you want it to be. An email blast is meant for everyone. But the most effective email campaigns you’ll ever send will be personalized and targeted based on what each person wants to see. Have you heard? 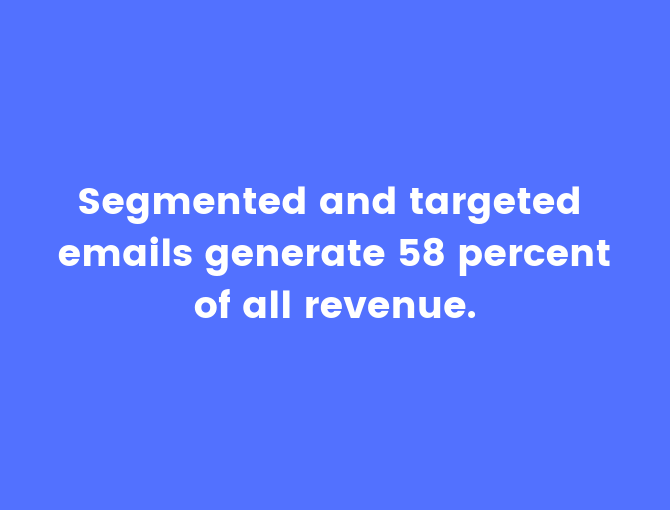 Segmented and targeted emails generate 58 percent of all revenue. And it works really well for sending targeted content emails. When you think about segmentation with email marketing, you think of targeted emails. Segmentation is sending specific content to specific people who want it. Say that you just had a flash sale that you promoted through a broadcast email that went to your entire customer base. After all, who wants to miss out on a sale (no matter their target age, gender, location, or another factor)? An “automation” is a chain of events that runs after a start trigger (which you define). An automation is created by combining triggers, actions, and logic. Have you ever wished that you had a personal robot that could just take care of the little things for you? Guess what – that’s what automations are for. 78% of marketers say automation increases revenue and 75% of brands using automation see ROI in under 12 months. Here’s an example of an event email that enters a customer into an automation for that email event. Automations are like hiring an extra set of hands that you don’t have to train or worry about. They work hard at making business processes easier for you. What I like most about is the ease and creation of automations within campaigns. It’s intuitive and follows the flow of everyday logic. My primary use of AC is to set up email automations to be sent to subscribers. I am able to save a lot of time, create beautifully functional emails with the templates provided and easily organize my contact list. Every marketer’s greatest fear is being blacklisted as spam. 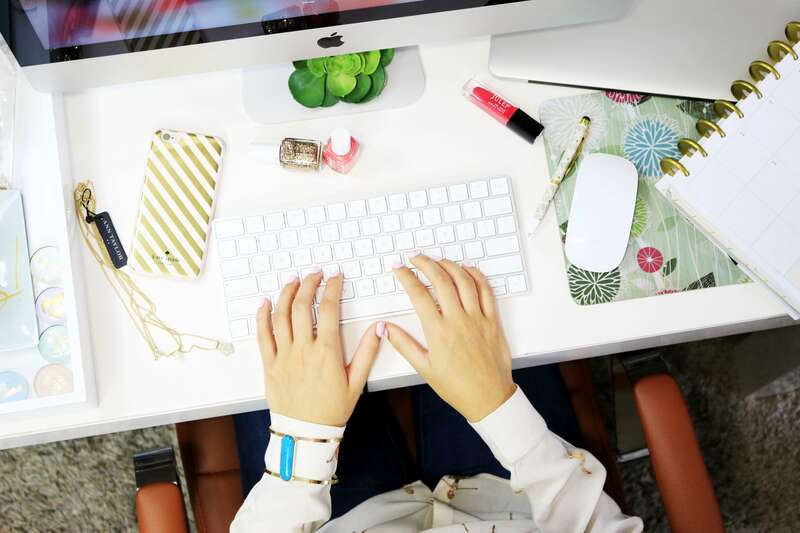 And yeah, an email blast sounds like the fast track to get there – but with these tips, you can still send a mass email (just breathe, it’s ok) in a smart way. Don’t think of it as “blasting.” Remember all of those other terms? An email blast doesn’t have to be a mass email explosion dropped on unsuspecting inboxes whenever you feel like it. Think of it as a consistent, structured part of your marketing efforts. Email blasts, such as newsletters, aren’t just sent on a whim. Yes, they are sent to mass lists of people, but on a consistent monthly or weekly manner. And it’s acceptable! Obey the golden rule of email marketing. Don’t send an email that you wouldn’t want to receive yourself.